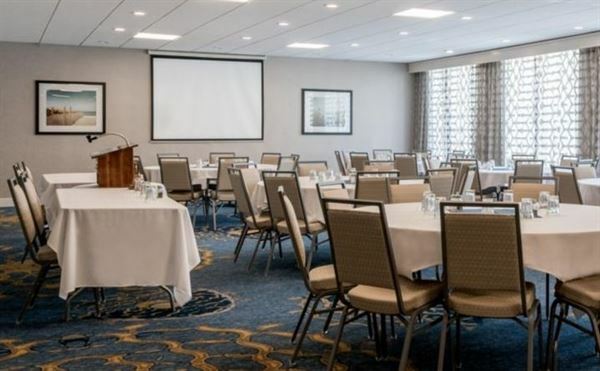 Business travelers in South Kingstown can host events on site with a stylish flair and seamless professionalism. Book function room for meetings, banquets, or conventions and take advantage of the wide array of cuisines on the hotel's catering menu. Room seats up to 135 banquet style and more for theatre and meetings, please contact us to discuss details. Special Features: Restaurant, lounge, outdoor pool, exercise room, laundry room, volleyball court. Within walking distance to hair salon, cafe, pharmacy, sandwich shop.